TSIRC are trialling recycling on Warraber with the view to introducing it to our other communities. Council collects household garbage twice a week. There is currently no charge to dispose domestic waste at our tips. For commercial rubbish disposal see our Register of Fees & Charges (PDF). If you have questions on waste disposal and garbage runs, see your Divisional Engineering Officer (DEO) at your local Divisional Office. 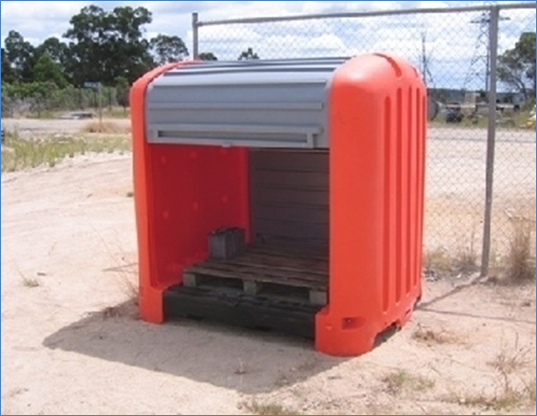 We have an annual levy for a solid waste / garbage charge per bin for commercial properties. To undertake detailed design works and prepare a business case for high temperature waste incinerators for six of TSIRC’s islands where the conditions are not suitable for establishing a new landfill site. Waste incinerators can burn a wide range of waste materials in an enclosed incinerator, at high temperatures. In previous waste management strategies developed between 2010 and 2013, enclosed high temperature waste incineration was selected as the preferred waste management strategy for general waste in the Torres Strait. Waste incineration is becoming increasingly more popular on small islands, with Cocos Island and numerous south pacific islands recently installing this technology. To further investigate metal shredding and crushing technologies, in order to produce a business case to determine whether metal shredding and crushing technology is feasible for TSIRC and to produce a specification for a suitable product for TSIRC. 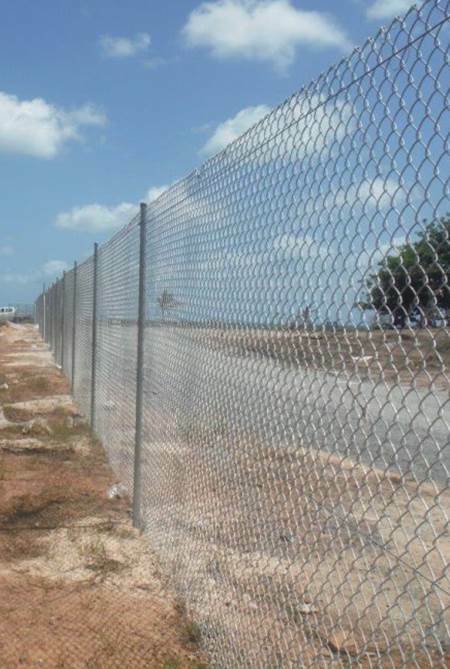 TSIRC is currently awaiting approval of $3.75M in funding from the Indigenous Councils Critical Infrastructure Program (ICCIP) to complete a Metal Waste Cleanup Project on TSIRC islands. Removal of dumped, abandoned and unserviceable vehicles and machinery from the islands is the highest priority for this project. Removal of some white goods and other metal wastes will also be completed if there is available budget. Removing old vehicles and metal wastes will free up space in TSIRC’s landfills, remove mosquito breeding grounds and improve the visual appeal of the communities. The Container Refund Scheme is due to commence in Queensland on 1st November 2018. The scheme will involve a 10c refund being provided for eligible drink containers. The aim of the Container Refund Scheme is to help reduce drink litter, increase recycling and create employment and business opportunities. TSIRC are cooperating with Department of Environment and Heritage Protection and beverage industry representatives, to help them to find a solution for rolling out the container refund scheme in the Torres Strait. 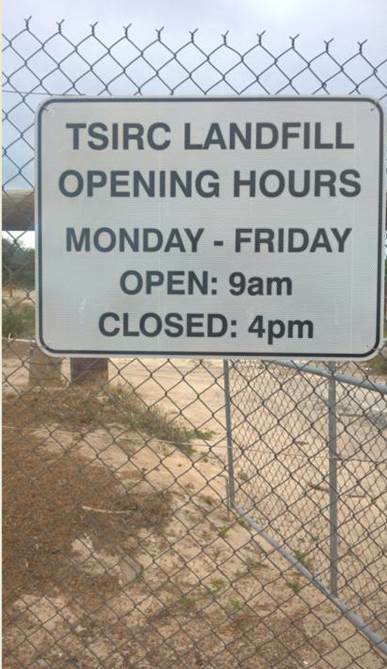 Council is currently in the process of cleaning up and fencing our landfills across the various communities. Improvements to the landfill sites include new signage to advise people of where to dispose of different types of waste, and well as covered bunding for storage of batteries. An example is shown in the photo below. Given the land constraints in our communities, we've identified waste management as a pressing infrastructure planning issue. Over the past decade, a number of studies into waste management practices, including strategies and action plans in the region, have been completed, most of which identify many communities with landfill sites as requiring urgent actions to mitigate community health risk. migration of leachate to the surrounding environment. 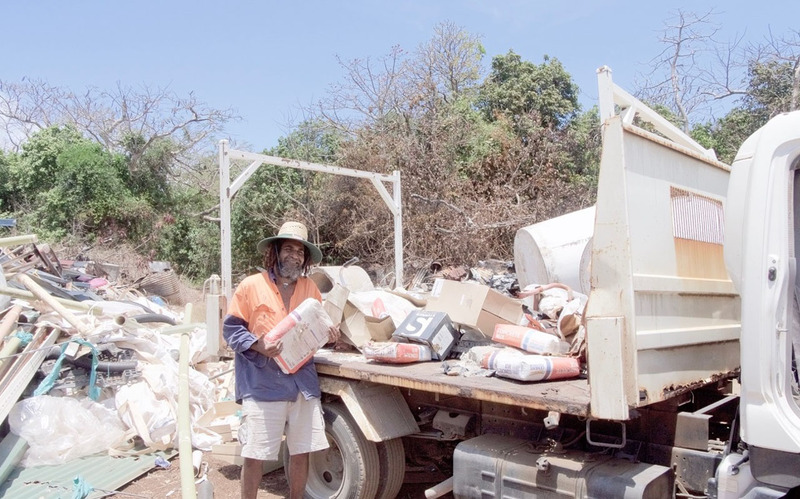 A recent waste management pilot program, undertaken at Warraber Island, has provided some key insights into waste management in the region. Previous action plans included options, such as a regional landfill, incineration and composting. Waste generation in the region is mainly domestic; however, construction and demolition waste is also an issue. There's limited commercial and industrial waste generated. Previous reports and audits have indicated that on average 430kg of waste per person per year is generated in the region. Of this, 60 per cent is made up of recyclable and compostable materials. physical constraints, including tidal inundation, sandy soils and land availability. The waste hierarchy of reduce, reuse, recycle and disposal also needs to be considered in any decision involving waste management. There are a number of alternative waste technologies available. In particular, we're considering information on landfill, composting (windrow and in-vessel), bioreactors, incineration, pyrolysis and gasification on a regional basis. A major investigation to determine appropriate solutions for the region is currently underway. review of what products are being brought to our islands.